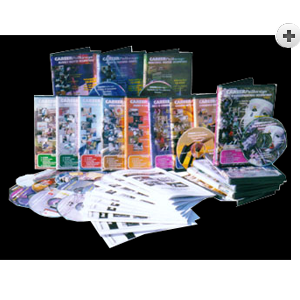 These 19 career awareness DVD's are designed to motivate students to explore the many career options available to them. We believe the more in tune the student becomes with their career choices; the more they will want to explore the wealth of information and data that is available to them. However, we must first get their total attention – Career Pathways interactive Use in guidance offices, career labs, libraries, and as a great enhancement to any state career information system. DVDs captures students interest immediately and keeps it. “Hello! Kay Melton just forwarded me the information you sent her concerning the follow up for the DVD's she so graciously purchased and donated to our facility. My staff and I were JUST discussing our summer schedule since the teachers had their last day yesterday and the first structured event that went on the calendar was the Pathway videos! I am very interested in updating all the topics. I have a success story as well. I saw one of our young female residents not long ago (out of the facility) and she was very excited to tell me that one of the video's concerning cosmetology caught her attention and she enrolled in a local cosmetology school and is now licensed and looks forward to owning her own salon one day! Please let me know what I need to do to move forward and update our library! Career Pathways: What's at the End of Your Path?